Since the eighteenth century, various incarnations of the now-familiar rhyme have implored generations to ‘remember, remember the fifth of November, gunpowder treason and plot’. These lines invoke the memory of a time when Catholicism was considered a profound and urgent threat to the nation. Today the tradition of remembrance remains as strong as ever, even if it seems that we are no longer so conscious of precisely what it is we are remembering. Last week an article in The Telegraph asked, ‘Bonfire Night 2015: when is it, why are there fireworks and why is it called Guy Fawkes Night?’ Answering its own question, the article proclaimed that 5 November ‘celebrates the Houses of Parliament remaining intact’ and the downfall of ‘Catholic explosive expert Guy Fawkes’. Repeatedly and publicly commemorated by the burning of ‘Guys’ and exploding of fireworks, the story of Guy Fawkes’s treason is something that neither the Gunpowder Plot rhyme nor the Telegraph article believes ‘should ever be forgot’. This reflects the prominence of a very particular narrative of the events of November 1605 that has been shaped by the commemorative practices that originated with the early Stuart government. Even though modern celebrations tend to downplay the triumph of Protestantism over Catholicism, many adopting the name ‘Bonfire Night’ as a more neutral alternative to ‘Guy Fawkes Night’, they are far from impartial commemorations. We continue to burn ‘Guys’ – whether or not they bear any resemblance to their namesake – on bonfires. We also set off fireworks, following in the tradition of seventeenth-century Protestant mockery of the plotters’ failure. Last year, Southwark Council provoked outrage when it planned to replace ‘Guy Fawkes Night’ with the more ‘politically correct’ festival of the ‘Colour Thief’. Indeed, asked to name the gunpowder treason conspirators, many would struggle to get beyond Guy Fawkes. History has not remembered so vividly Robert Catesby, Thomas Winter, Ambrose Rookwood, Thomas Percy, or Robert Keyes. The reason for this lies in the very persistence of ‘Guy Fawkes Night’ and the practice of burning ‘Guys’ on the bonfire. Divorced from the context of the Gunpowder Plot, the ‘Guy Fawkes’ mask has become a cultural icon and a symbol of anonymity and activism worldwide. Despite our general condemnation of religious persecution, the night of 5 November continues to invoke Fawkes as the emblem of a gone-but-not-forgotten Catholic threat. Almost without thinking about it, every year we continue to observe the triumph of Protestant England over Catholic conspiracy, though this preoccupation belongs to a very different moment than our own. James VI and I’s ‘Thanksgiving Act’ was repealed in 1859, but the commemorative practices initiated in 1606 have continued. The plot has entered into our ‘collective memory’ as a story that we can recall even though we did not witness it. 5 November 2015 will, like its predecessors and no doubt also its successors, be marked with fireworks, bonfires, and the exhortation to ‘remember, remember’. But, as historians, it is important that we interrogate this impulse to ‘remember’ by asking why and how our memory of the Gunpowder Plot came into being. The historical record is shaped profoundly by what people remember and what they forget – and by what they choose to remember and choose to forget. We have inherited a tradition begun by seventeenth-century Protestants as part of a deliberate exercise to make and shape memory through the celebration and symbolic re-enactment of the conspirators’ failure. It is testament to the power of this sort of doing history in public that Guy Fawkes and the Gunpowder Plot have never been ‘forgot’. 3 James I, cap. 1. Viewed online at http://www.parliament.uk/about/living-heritage/evolutionofparliament/parliamentaryauthority/the-gunpowder-plot-of-1605/collections/thanksgiving-act/. Accessed 31/10/15. Jan Assman, ‘Collective memory and cultural identity’, New German Critique 65 (1995), pp. 125-33. 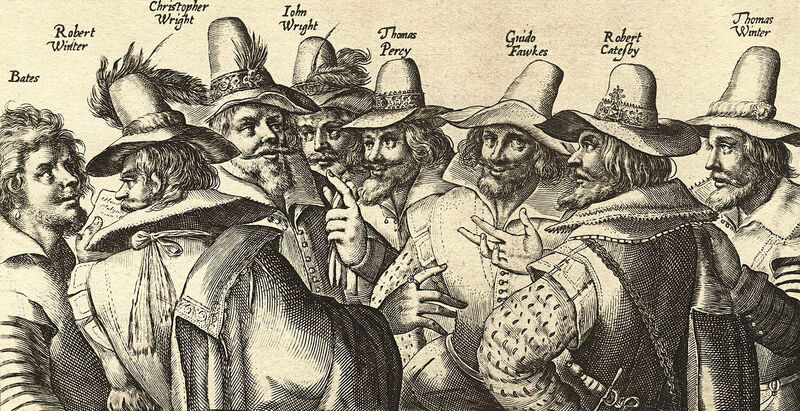 In an age when we are increasingly aware of terrorist outrages the failure of the Gunpowder Plot certainly has a claim on our remembrance – as long as we historians continue to make clear what was at stake. The explosion would have taken out, not just the parliament house, but Westminster Abbey and the homes of hundreds of men, women and children not directly involved in the politico-religious conflict. The potential loss of life is incalculable – collateral damage on a frightening scale. What would have followed is speculative but could scarcely have failed to involve escalating violence nationwide. Money and effort spent accumulating barrels of oil for pouring on trouble waters might – just might – resolve conflict. Ditto resources expended on quick-fix barrels of gunpowder – never.